The race is on to provide better and more efficient ways to provide Windows services, and Citrix and VMware are right at the forefront of all the activity. These two names consistently stand out as the go-to sources for solutions to virtual and virtual hosted technologies. Both are as different as two systems can be of course, although they do share a number of similarities. This article covers their most significant facets. The heart of Citrix’s efforts into the virtualization market is its XenServer system, which is available for free. It forms an integral part of the company’s central management system, XenCenter. As for VMware, its ESX and ESXi versions are seen as the counterparts to the XenServer. That being said, the VMware vSphere client isn't actually comparable to the XenServer, although the VMware vCenter Management Server is. A more appropriate comparison would therefore be between the two systems: the Citrix XenCenter and vCenter. One of the best things that Citrix has going for it is the new licensing structure proposed by Microsoft. This framework is clearly aimed at addressing the needs of customers who are seeking full access to their virtualization platforms and do not want to have to pay for the privilege, whether they are working at their home or office desktop. VMware on the other hand, is clearly poised to offer services that go beyond mere virtualization. With the recent acquisition of Zimbra, VMWare is clearly set to carve a chunk out of the Microsoft Exchange market. One of the most significant market strategies employed by VMware is the offer to users that would allow them to trade in their Citrix XenApp licenses for a full version of VMWare View. Citrix and Microsoft haven’t taken this challenge lying down, and they quickly hit back with a partnership that is clearly aimed at whittling away at some of the VMWare market, with some very interesting licensing deals. 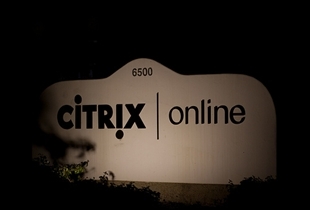 It is expected that as many as 500 VMware licenses will be exchanged for a Citrix system with full Microsoft integration. Both companies are also set to embark on a 100-city tour. How this will affect VMware’s 80% share of the virtualization market remains to be seen, but the competition is sure to be fierce. Which is the best virtualization software?